Would you like to write for Lady Geek Girl and Friends? 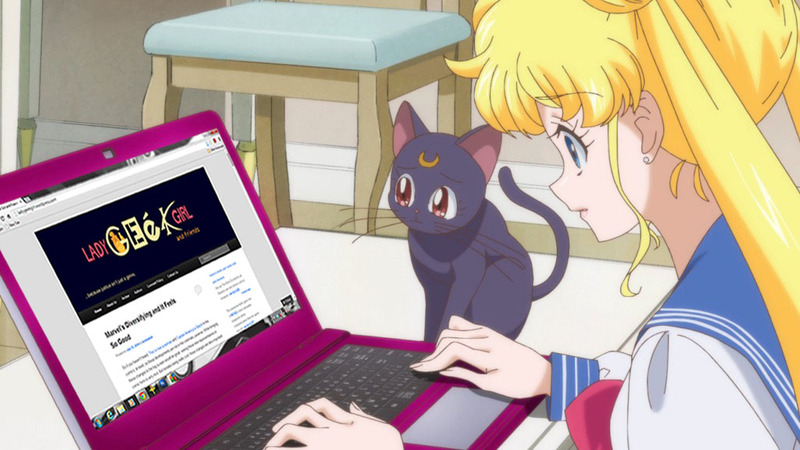 We’re always looking for new writers who are enthusiastic about intersectional feminism and geekdom! Please click this link to see what we’re looking for from potential writers. If you’re interested in applying and are over 18 years of age, please get in touch! Please note: while we absolutely welcome applicants from all backgrounds, we do think it’s important to have a diverse staff who can write about topics of representation from marginalized perspectives. Because of this, we’re currently particularly looking for writers of color, writers who identify as trans or genderqueer, and writers who practice/study religions other than Christianity. I’m interested in contributing, please let me know if there’s anything I can do to help. Hi Brittany, thanks for commenting. If you’d like to apply, please check out the pdf linked above. Thanks! Hi Magdalily, thanks for commenting. If you’d like to apply, please check out the pdf linked above. Thanks! Hi ChildofRa, thanks for commenting. If you’d like to apply, please check out the pdf linked above. Thanks! I does one apply to this site? I would be glad to work for you guys as a writer, and I will get an application in pronto, but I wanted to ask… Being a line or note editor would be more in my wheelhouse. Do you need any of those? Thank you so much for showing interest in our blog. Unfortunately, we don’t have any editing position open right now — though we would be willing to talk to you more about that — and we look forward to your application.